Morels are a highly sought after scrumptious treat in this part of the country. One day (last year) Jennifer found a treasure trove of them and scooped them up in her flannel shirt. When she got back to the car, she laid the shirt on the hood of the Subaru. 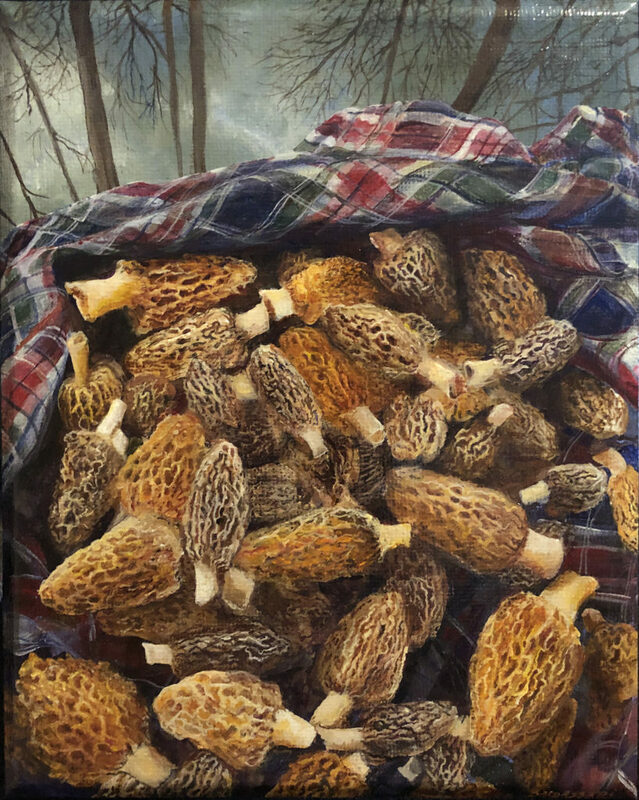 I thought the upside down reflection of the trees, and the pattern of the flannel, and of course the mushrooms would make a challenging painting (and it did). This painting sold before I got a frame on it, and hangs above a book collection about wild foraging in the Ozarks. How apropos. Click below to see a video progression of this painting.